It’s been a busy summer for Canada’s Express Entry-linked Provincial Nominee Programs, with developments in Saskatchewan, Nova Scotia and Ontario leading the way. Provincial Nominee Programs (PNPs) allow participating Canadian provinces and territories to nominate a set number of immigrants for Canadian permanent residence each year. Each of Canada’s 11 PNPs now has at least one so-called “enhanced nomination” stream that allows it to invite candidates in the federal government’s Express Entry system to apply for a provincial nomination. A provincial nomination obtained through an Express Entry-linked immigration category/stream awards candidates in the Express Entry pool an additional 600 points toward their Comprehensive Ranking System (CRS) score. 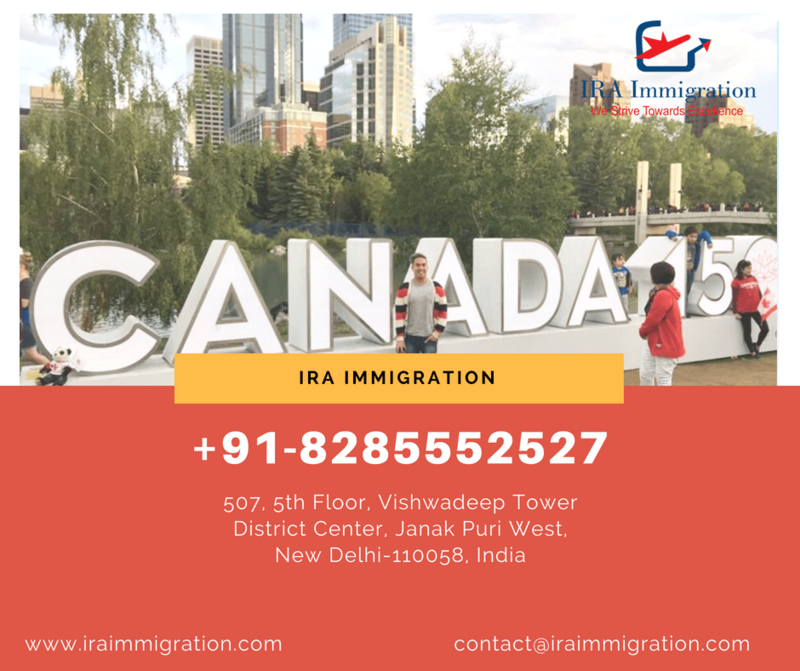 The additional points effectively move candidates to the front of line for an Invitation to Apply (ITA) for Canadian permanent residence. Collectively, Canada’s PNPs will be responsible for more than 30 per cent of planned economic immigration to Canada in 2018. Among the key developments this summer was the province of Saskatchewan’s transition on July 16 from a first-come, first-served application approach to an Expression of Interest system for its Express Entry and Occupations In-Demand immigration sub-categories. Under an Expression of Interest (EOI) system, interested immigration candidates create a profile and provide the requested information as a first step to being considered under the immigration program in question. Eligible candidates are given a score based on the information they provide and are then ranked against the competition. The highest-ranked candidates are issued invitations to apply for a provincial nomination during periodic draws from the EOI pool of candidates. The Saskatchewan Immigrant Nominee Program (SINP) announced its first invitations to apply for a provincial nomination under this new EOI system on August 21, with 466 invitations being issued to candidates in the Express Entry sub-category. In order to be eligible, Express Entry candidates must have high-skilled work experience in a profession found on Saskatchewan’s In-Demand Occupations List and satisfy other eligibility requirements, including obtaining at least 60 points on Saskatchewan’s unique points grid. The SINP has said the switch to an EOI system will allow it to better target those most likely to succeed in Saskatchewan’s labour market. The Atlantic Canada province of Nova Scotia also introduced a significant addition to its roster of Express Entry-linked immigration pathways at the start of August with the creation of its Labour Market Priorities Stream. This new stream allows Nova Scotia’s Office of Immigration to identify Express Entry candidates who meet “market-identified labour shortages” to apply for a provincial nomination. Nova Scotia’s Office of Immigration put this new stream to use on August 8 when it issued Letters of Interest to 314 Express Entry candidates with at least two years of work experience as early childhood educators and assistants (NOC 4214). The Labour Market Priorities Stream is described as “flexible” and the specified occupations could vary from draw to draw depending on Nova Scotia’s needs. In addition to the Labour Market Priorities Stream, Nova Scotia has two other immigration streams that tap the federal Express Entry system — the Nova Scotia Demand: Express Entry Stream and the Nova Scotia Experience: Express Entry Stream. One of the biggest PNP draws of the summer took place on August 9 when Ontario’s Human Capital Priorities Stream issued 947 Notifications of Interest (NOIs) to Express Entry candidates with job offers in the province and CRS scores as low as 350. These were the first invitations issued through the Human Capital Priorities Stream since March 26, when Ontario held a similar targeted job offer draw. In that draw, Ontario invited 480 Express Entry candidates with CRS ranging from 351 to 446. Both draws were exceptional in that the Human Capital Priorities Stream normally targets candidates with a CRS score of at least 400 and a job offer is not among its usual requirements. Of the eight draws held through the stream this year, six had no job offer requirement. Ontario did not say if the job offers had to be in a specific occupation or field. In the past, Ontario has issued targeted invitations to candidates with work experience in select Information Communication Technology occupations. The August 9 draw brought the number of invitations issued through the Human Capital Priorities Stream so far this year to 3,534. Ontario’s other two Express Entry-linked streams — the French-Speaking Skilled Worker Stream and the Skilled Trades Stream — have also been active this summer. Since June, Ontario has held 11 invitations rounds through the French-Speaking Skilled Worker Stream, issuing a total of 323 NOIs in the process. In order to qualify for Ontario’s French-Speaking Skilled Worker stream, candidates must be eligible for either the Federal Skilled Worker Class or the Canadian Experience Class and have a Canadian Language Benchmark of at least 7 in French and 6 in English, among other criteria. In that same period, Ontario held two invitation rounds through the Skilled Trades Stream that saw a total of 279 NOIs issued. The Skilled Trades Stream is for skilled trades workers with a valid Express Entry profile who are eligible for the Canadian Experience Class and have work experience in an eligible skilled trade. There is no minimum Comprehensive Ranking System (CRS) score requirement for either the French-Speaking Skilled Worker Stream or the Skilled Trades Stream. Express Entry-linked PNPs in the provinces of Manitoba, Prince Edward Island and British Columbia have also issued invitations this summer. Manitoba’s Express Entry Pathway held three draws in June and July — on June 22, July 6 and July 9 — and issued a total of 448 Letters of Advice to Apply to candidates with scores as low 519 under its unique points grid. This EOI-based pathway is open to candidates who meet the pathway’s eligibility criteria and have experience in one of the province’s in-demand occupations. Prince Edward Island’s EOI-based Express Entry Stream has issued invitations three times so far this summer, on June 21, July 19 and August 16. Its Office of Immigration did not provide a breakdown of how many Express Entry EOI candidates were invited in each round. On Canada’s West Coast, British Columbia continued its habit of weekly invitations to Express Entry candidates. Candidates in its Express Entry BC: Skilled Worker and Express Entry BC: International Graduate were targeted through weekly draws in June, July and August. BC did not say how many Express Entry candidates were invited in each draw, but scores ranged from 87 to 96 under the Skills Immigration Registration System’s points grid. Though it technically happened before summer’s official arrival, Alberta announced the long-awaited arrival of its Express Entry Stream on June 14 along with its new Alberta Opportunity Stream. “Candidates who have demonstrated strong ties to Alberta and who can help support the government’s economic development and diversification priorities will be invited to apply,” the AINP said in its announcement of its Express Entry Stream. Qualified candidates with profiles in the Express Entry pool will be selected directly by the Alberta Immigrant Nominee Program (AINP). Express Entry candidates can only apply after being invited by the AINP. Like all Express Entry-linked streams, the first step toward pursuing this new Alberta stream is to enter the Express Entry pool.